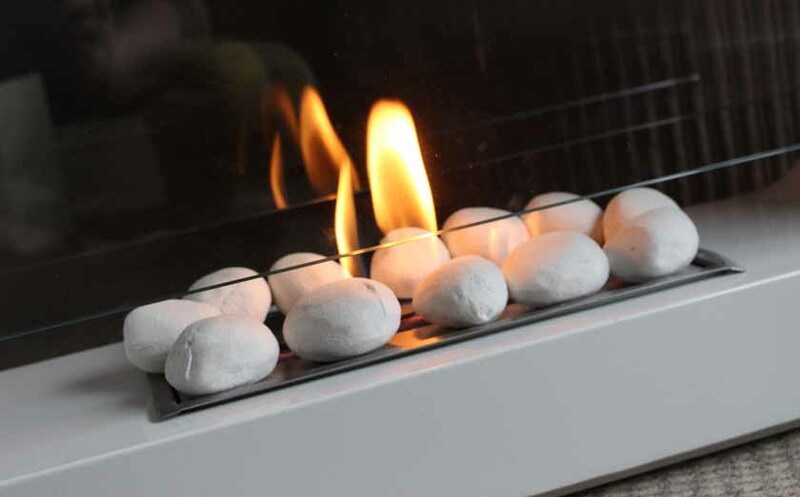 With the weather going from hot to freezing and from sunshine to snow and hail stones, I thought it would be very appropriate to feature our lovely freestanding bioethanol fireplace. 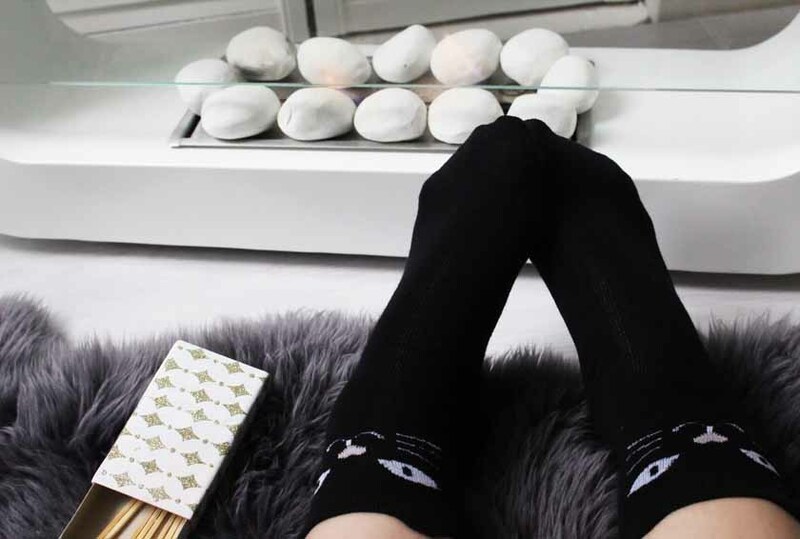 There is nothing worse than feeling freezing cold in the morning or when the evening is a bit chilly, so sitting by the fireplace with a hot cup of tea or cocoa sounds like perfection! 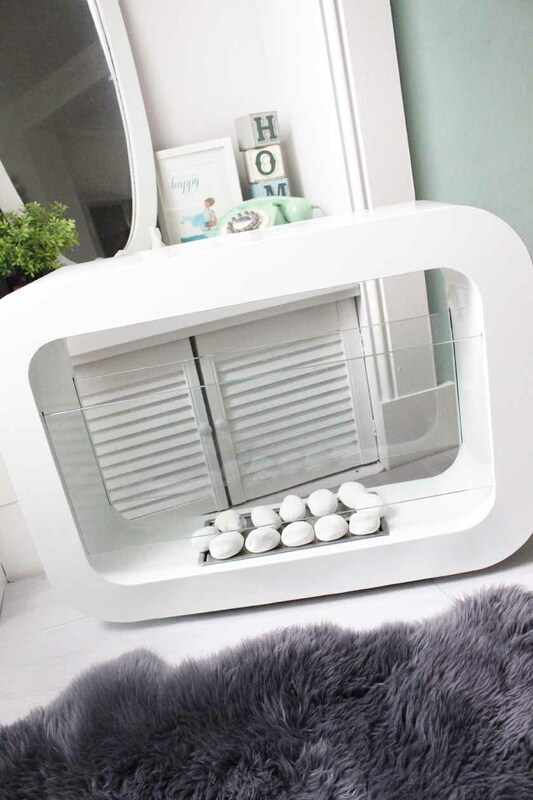 Imagin Fires offer a big variety of designs, from traditional to modern, but I opted for the Oblosk in white*(£299.00) as I found it very aesthetically pleasing and simply gorgeous. The shape is very sleek and the size is just perfect. Not too big, not too small and it fits perfectly under our windowsill, which means that it can be put away when we are not using it. I would love it to be a main feature in the house, but we are renting, so we can't really change things round too much. Speaking of renting, a freestanding fireplace is ideal, if you are in the same situation as us, as you can put it anywhere you want and take it with you when you move. Fantastic! I was slightly worried that using the fireplace might be a bit of a pain, but it couldn't be more simple. I mean... I did it all by myself and it worked, so it must be super easy, haha :) All you need for the fire to work is a bottle of the Bioethanol Fuel*(£29.99) that you pour into the fuel box and light with a matchstick and you can enjoy the beauty of this gorgeous fireplace and the lovely heat it provides. Fireplaces are kind of magical, don't you think? I love traditional ones, but this modern option is equally nice in my opinion. 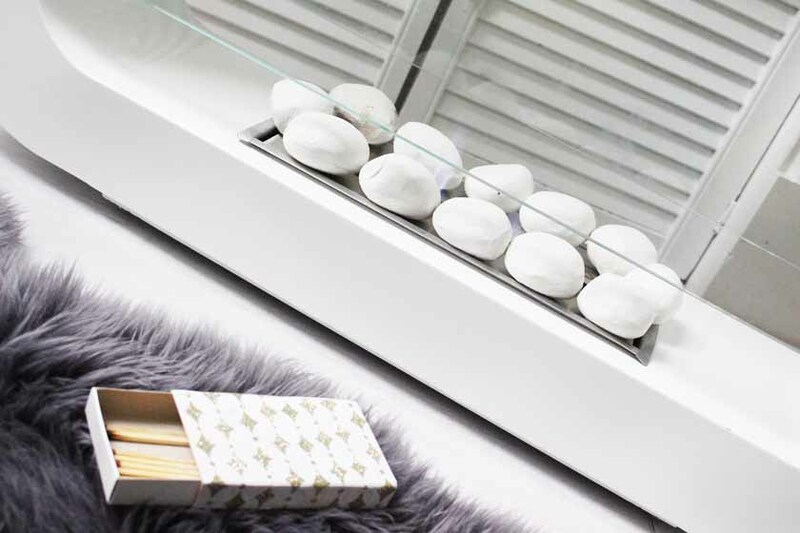 We also opted for the white pebbles*(£27.99) to go around the fuel box, as they look amazing and add the perfect finishing touch. I also adore the two glass panels on both sides of the fireplace, as they reflect the flame beautifully and look very elegant. As a mum, I am very health conscious and I avoid fumes, so this option was the safest thing I could possibly get. No soot, no smoke, just a clean flame and no fumes. 1 litre of fuel burns for up to 3.5 hours and provides 3.5kw of heat (same as heater on a medium setting). You can also use this fireplace outdoors, which would be great for summer evenings in the garden. Here is a little video I recorded, showing the gorgeous flame. Overall, it is a lovely modern fireplace and it is so, so easy to use and set up.